Gov. Carney and Delaware’s Office of Management and Budget announced $2 million in additional funding for services for adults with intellectual and developmental disabilities in FY 2020. On behalf of the community and the service providers we represent, we’d like to express our gratitude to the governor and his administration. The additional $2 million is very helpful, but more is needed. The Division of Developmental Disability Services just completed a reimbursement rate study. It revealed that in order to fully fund residential and day services, the system needs an additional $42.3 million. Under current funding levels, providers are being reimbursed about 60% of what it costs providers to deliver the care. We’re asking Delaware to commit $14 million in FY 2020 for I/DD services. $14 million is roughly a third of the $42.3 million needed over the next 3 years to close the funding gap. It will help to fulfill the promise of the McNesby Act. It enables the professionals serving people with I/DD the ability to earn a living wage. It ensures that provider organizations can keep their doors open and help Delaware meet federal requirements for community-based services. The Michael McNesby Full Funding for Adults with I/DD Act will ensure that funding for services is brought up to levels recommended by the Department of Health and Social Services. An additional $4.6 million in State funding was allocated in last year’s budget. However, not all Direct Support Professionals (DSP) received wage increases because of the way the funds were distributed. Although residential services received a healthy increase, day programs actually lost ground against inflation, which has resulted in increased staff turnover. The McNesby Act is the first legislation in the country to make an important commitment to fully fund services to adults with I/DD. However, it was not an appropriation bill, so there was no funding attached to it. Delaware’s Governor, Budget Director, the Joint Finance Committee, and Leadership of the General Assembly must make decisions to put money into the state budget each year until the goal is reached. Click here to read the bill and why we need to keep advocating to keep the commitment made in the McNesby Act. Michael McNebsy was born in 1960 with Down syndrome. It was a time when society was unsure of what to do with people with intellectual and developmental disabilities. 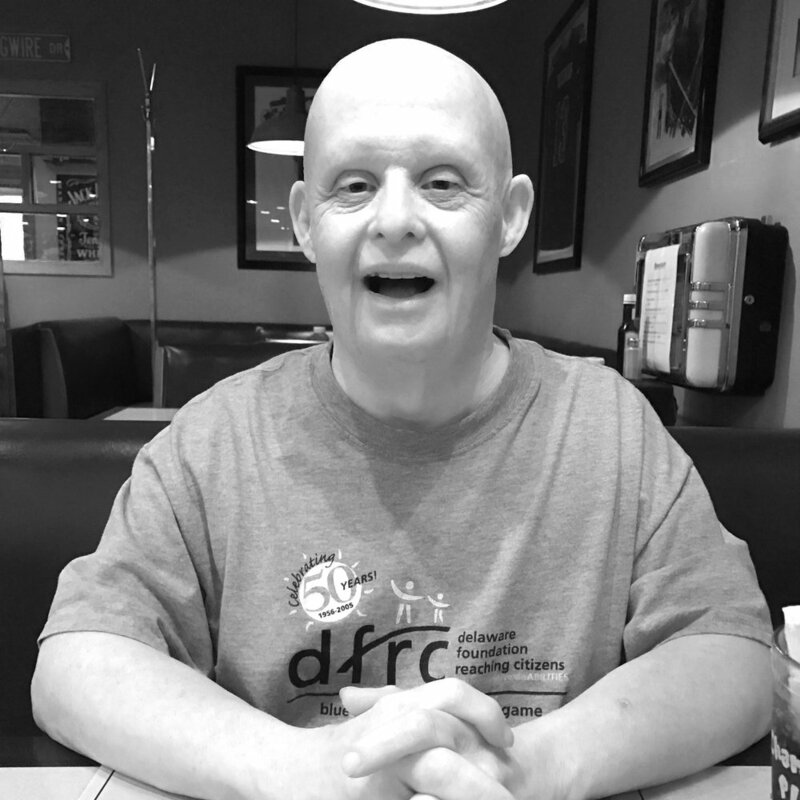 Michael’s parents chose inclusion for Michael, and he had a rich, happy life. He passed away on March 26, 2018, surrounded by loved ones. Hundreds of people attended his funeral. Michael had the luxury of being born into a large family, and after his parents passed, his brothers and sisters were there to support him. Not everyone has this same safety net. The Michael McNesby Full Funding for Adults with I/DD Act commits the state to fund support for these individuals—and will help adults with I/DD contribute to society and live a life as rewarding as Michael’s. Stay current on the McNesby Act. We’ll send you periodic updates and suggestions for how you can get involved to affect real change in Delaware. We will never share your name or email.